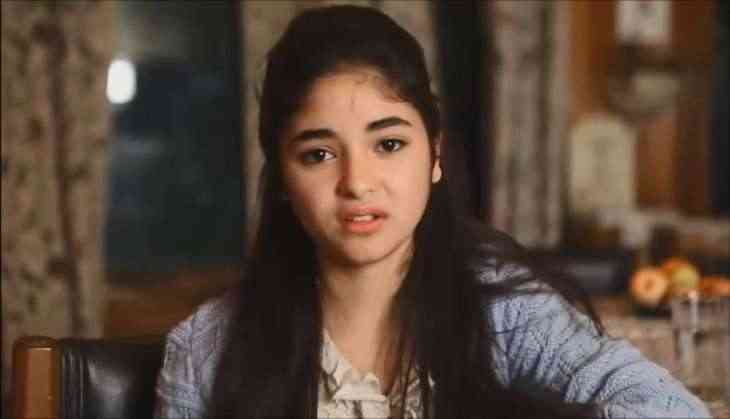 Bollywood child actress Zaira Wasim made headlines yesterday when she shared a video on Instagram where she narrated the whole incident how a man molested her in the flight. The whole Bollywood industry came in the support of the actress and criticized the whole incident and also the airlines for women safety. Now the latest development in the case is that the Mumbai Police has arrested a 39 years old man Vikas Sachdeva on the charges of harassing the 'Dangal' actress. The airlines helped the Mumbai Police to identify the accused person. The person Vikas Sachdeva has said in his defence that he mistakenly touch the feet of the actress, and she has made this a criminal issue. He even has told that he apologised to the actress. According to TOI, the accused person was coming from Delhi who lives in Andheri Suburb, Mumbai after attending a funeral and he was really tired that he couldn't sleep for one night. He even told the flight crew to not disturb him even for food because he was so tired. Even Vikas's wife has supported her husband and said that it was totally unintentional. Well, for now, Mumbai Police is detaining the accused Vikas Sachdeva and then they will charge the further allegations.